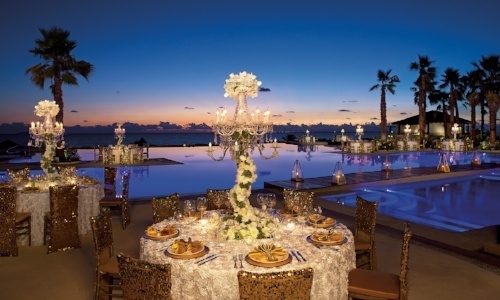 The best time to hold a wedding in Cancun goes from the last days of October to the first days of December. Why? Perfect weather and low season. A wedding on the beach can be a complication if the date is not chosen correctly. You must take into account factors such as weather and time of the year. Surely you are looking for a party that isn’t crowded or making your guests want to die because of the heat, in addition to a better deal in hotels and flights. The weather and the small crowds allow different activities to be possible in Cancun, which would normally be more complicated to carry out. In fact, November is the favorite month of many brides to carry out their weddings on the beach, since, in addition, the landscapes for the photos are perfect. That is why the bridge of November 20th is the best option, since, in addition, coincides with a holiday. In fact, it is the most requested date to perform weddings and if you want to carry it out like that, you have to organize it and set aside your place at least one year in advance. Is November not good for you? In January and February, it is high season, with good weather. Weddings are not so requested because the December dates are so close, but that will probably get you good prices. Easter still has good weather, but it could get really crowded because of one of the most representative Mexican holidays. This is why the church does not perform weddings during this period. The holiday of May 5th is a good option, since it is high season, but there is still good weather. What options do you have to carry out the wedding? You can actually carry it out at any hotel you want. 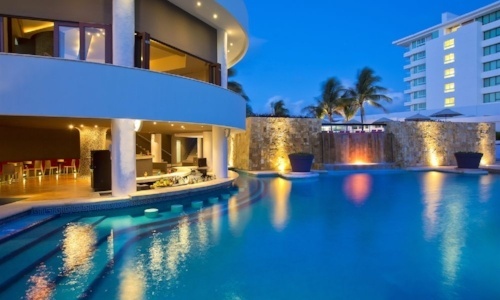 Just make sure you book well in advance and choose a hotel that allows you to do activities in Cancun like swimming with dolphins. In fact, the ones listed here are close to magnificent habitats where you can carry it out. What requirements must we meet to carry out the wedding? Marriage request completed and signed. You can obtain these forms at the local registry office in Mexico and it is usually coordinated through the hotel. Certificate of divorce, if necessary. It must be dated at least one year before. Blood test performed in Mexico within 3 to 14 days before the ceremony. The hotel coordinator can help you, be sure to ask. There is a fee for the blood test that varies by hotel. Two witnesses for the bride and two for the groom (four witnesses in total). They must also provide an entry visa to Mexico or tourist card, passport and another photo ID. As an alternative, you can have your legal ceremony at home, at the town hall, and simply have a symbolic ceremony in Cancun. This can save you this process, as well as money. The day of your wedding is one of the most important of your life. Make sure you choose the right place and date. At Delphinus, we want you to celebrate your relationship with a dolphin swim as a couple. Meet us and reserve.